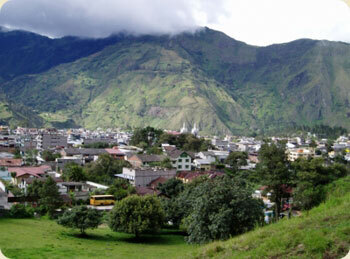 Alausi Ecuador is perched in the mountains south of Riobamba heading toward Cuenca. 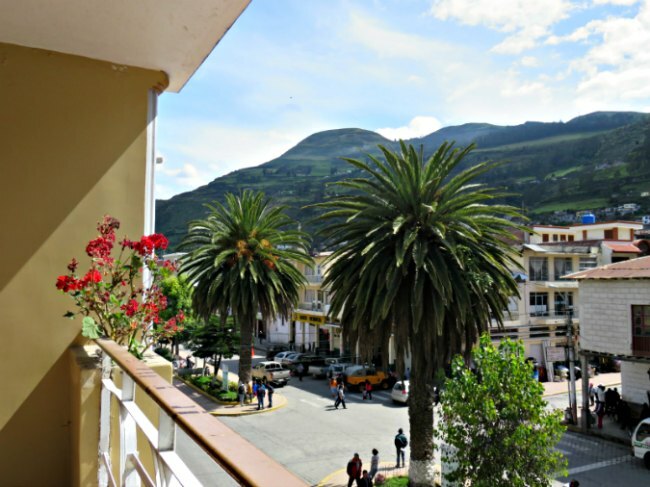 It's a beautiful little town with that typical Ecuadorian mountain town feel and lots of people in full traditional native dress. 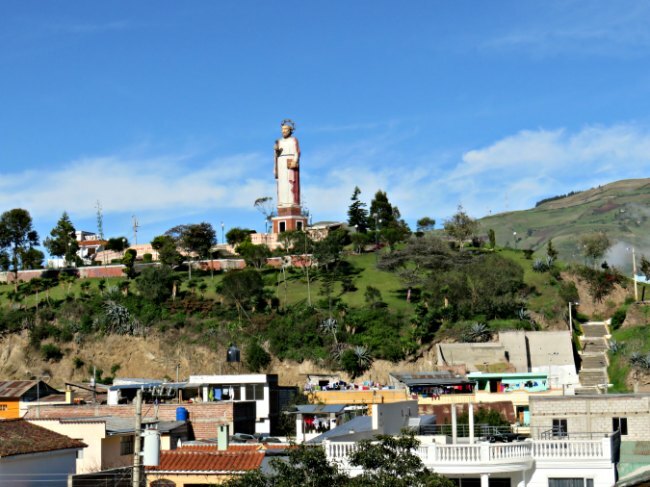 Old buildings line the narrow streets built down the side of the mountain to the valley at the center of town. 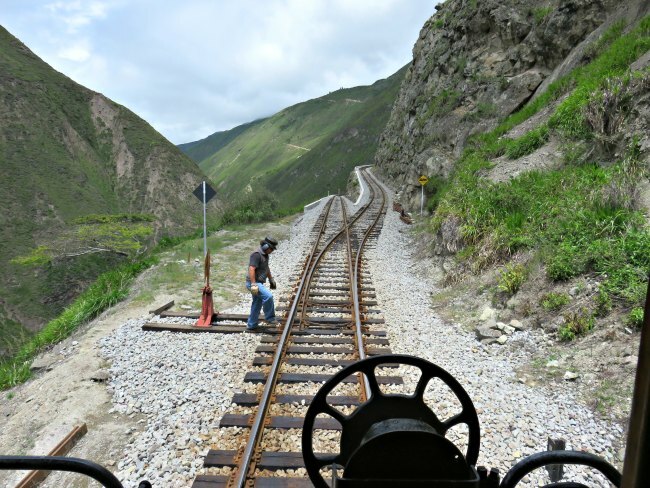 Built in the early 20th century, the Nariz del Diablo (Devil's Nose) was hailed as the most difficult set of train tracks in the world. As you ride down the mountain you see why. 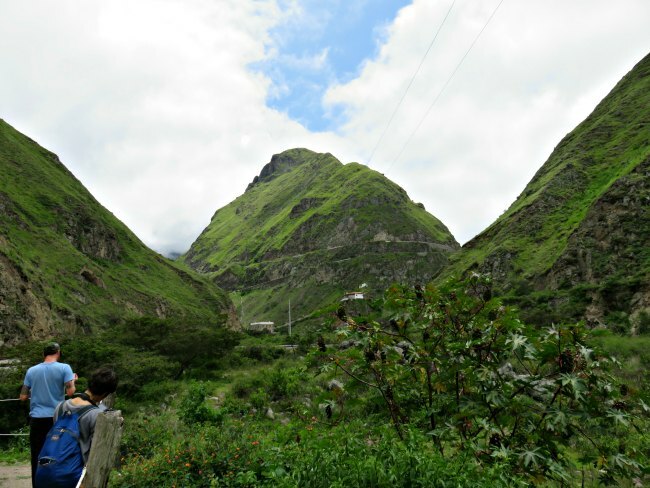 As an important leg connecting the coast and the mountains of Ecuador, the Devil's Nose section goes down in elevation quickly. This was accomplished with two switchbacks in the track. 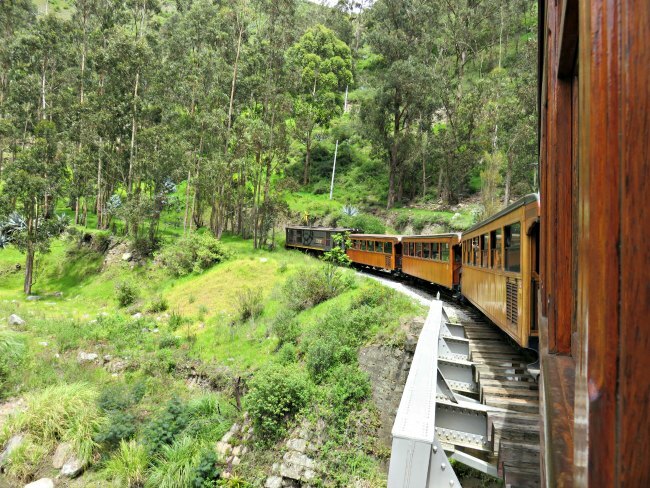 The current train ride takes you down the mountain to a new station (Sibambe) and museum. 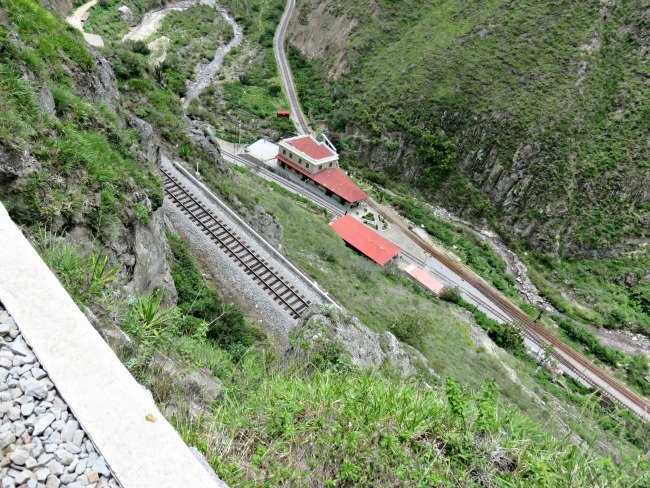 There was a small settlement surrounding the original station at one time, but it was destroyed in a mudslide. 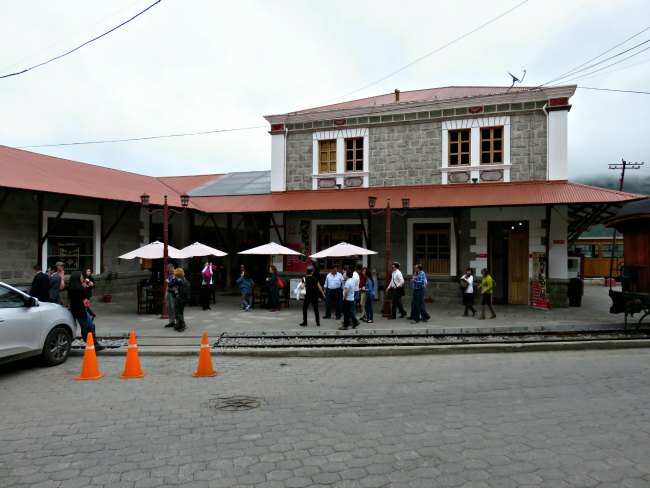 At the station, you get to have a snack, watch a traditional dance and explore the museum. Why is it called the Nariz del Diablo? During construction, thousands of workers died. So many died that many people thought the project was cursed by the Devil. The mountain itself is also said to appear like a big nose coming up out of the ground...the Devil's nose. No. In the past you could ride on top of the roof of the train. I think that is what made this trip more of an adrenaline rush. Now you sit in the train, in comfy chairs and enjoy the scenery. Even though it's not going to give you goose bumps, I highly recommend the trip. It's very interesting and the views are spectacular! Most people come to Alausi for the train. Other than the huge statue of Saint Peter on the hill, there isn't too much else to see. But it's definitely worth a visit. We really enjoyed our day here and would do it again.